There are many different exercises and training routines that help speed up your cycling time, but what if you could improve your cycling time without putting in training hours? Figuring out the best ways to reduce drag and become more aerodynamic on the bike can significantly reduce the time spent in the cycling portion, making you fly by people with a breeze. One of the best and fastest ways to improve your time on the bike is changing the outfit you wear. Your clothing should not prevent you from getting the time you want on your bike. The outfit that works wonders for making your body more aerodynamic is an Aero Trisuit. Find a Triathlon suit that doesn’t have many areas for air to get in. This means that your suit should feel like a second skin. 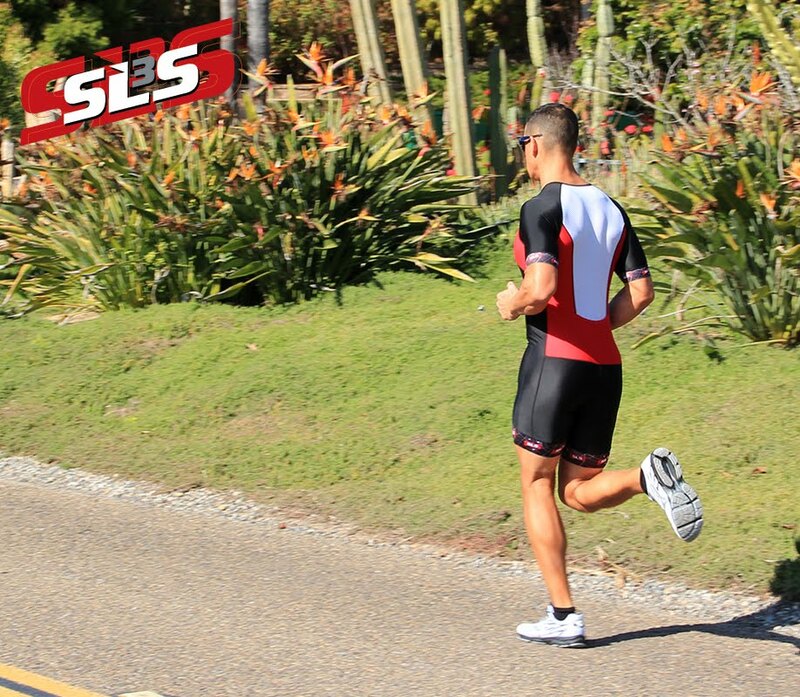 Your body is the biggest obstacle for the wind to overcome, which makes you slow, wearing an outfit that the wind can easily breeze over can save you around two minutes on a 40k time trial. Two minutes can make or break who gets the title at the finish line. Chances are that spending over $200 on one item makes you panic a little, which is why shoe covers are an easy way to go. Shoe covers cost $50 at the most, and they can save you up to 30 seconds on the bike (40k TT). This is the most affordable improvement to your cycling gear that not only makes you more aerodynamic, but it also keeps you feet warm. Shoe covers work by pinning down the laces, buckles, and straps of your shoes, which makes it easier for the wind to fly past you. Investing in a set of aero bars is essential to helping you become more aero dynamic. Aero bars help you get in a body position that is aero dynamic, which means your body will be less of a problem for the wind to go over. Aero bars, like skin suits, can shave off minutes of your time. Shaving off minutes in any race is necessary if you want to come in first. Find a specialist in time trial fittings to help you find the most aerodynamic positioning for your body. This may be a little pricey, but this one time event will help you use your aero bars to their best potential. A combination of aero bars and learning the right way to sit on your bike will save you minutes. Always, always, always wear a helmet. But what if you can wear a helmet that not only protects your head, but reduces your time as well? This is where aero helmets come in. They may look like you have some silly, weird thing on your head, but they work. Like the shoe covers, helmets are one of the most affordable ways to improve your speed. Plus, you need to protect your brain anyways, why not invest in one that can also improve your speed? Wheels are the last items you want to buy to save time. The reason for this is because they are the most expensive items to change on your bike to save time. If you have the funds to buy new wheels start with the front wheel, it’ll help reduce the energy you put into moving it. Save the wheels for last though. Sure they will help you save time and energy, but they are an expensive investment. Saving time and energy on a bike without training for hours can be achieved through items that improve aerodynamics. The two most important items to get to improve your time without spending too much money are aero bars and a skin suit. Focus on these items first and then let everything else fall into place so you can speed ahead into first place.